BT Families - beautiful and stylish joomla template for the team of professionals BonusThemes. 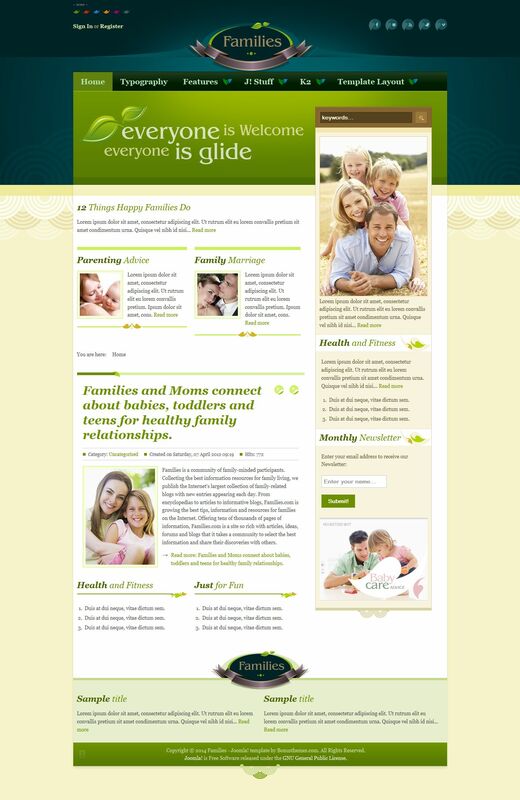 The template is ideal for family online journal or blog, as well as to create a website of any complexity and subjects. Having a modern design and a huge range of features, this template will satisfy even the most advanced webmasters. Ability to select the appearance of the set of six color schemes, and easy customization template parameters will make it more convenient to use. Support for the popular K2 extension allows you to easily manage your site's materials. Template BT Families perfectly optimized and properly displayed in all browsers. Template optimized and has instant download pages.